The Nordex Group is an integrated, global supplier of innovative, multi-megawatt onshore wind power systems. The Group concentrates on developing and producing complete systems, including the control software as well as the main core components, and on offering related services. Services rendered by Nordex for a specific project range from the mere delivery of the wind turbines to turnkey construction of a complete project (Turnkey contracts). Founded in 1985, Nordex has more than 30 years of industry experience. Its products regularly shape the technological development of the wind energy industry. At its own facilities, Nordex predominantly produces nacelles and hubs for wind turbines as well as a substantial share of the required rotor blades. A dedicated sales organization supports customers in each core market. Nordex provides assembly services for the wind turbines it supplies as well as after-sales services for their entire operational lifecycle, thus concentrating on establishing long-term customer support and relationships. 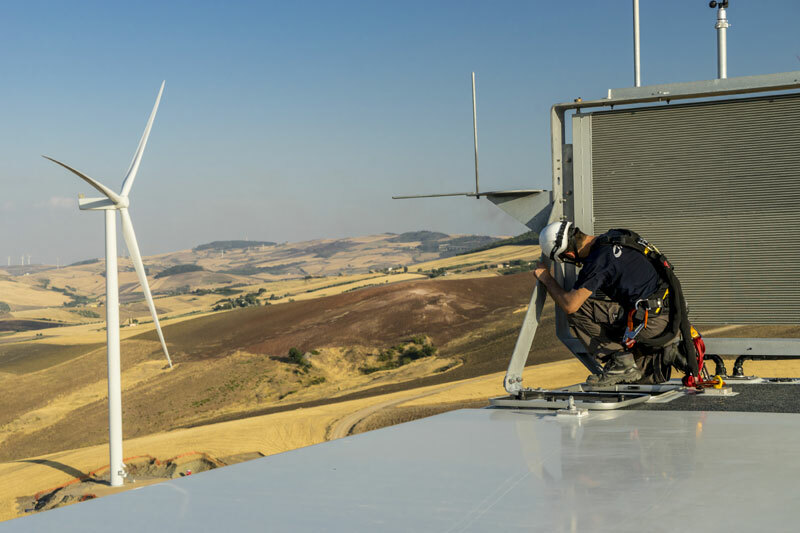 Due to the high number of installations, the Nordex Group now looks after more than 6,800 wind turbines, largely under its own Nordex and Acciona Windpower brands and usually as part of long-term maintenance agreements. Services such as spare part deliveries and customer training are also offered separately. In selected markets, particularly France, the Nordex Group also operates as a project developer for wind farms. Nordex is a focused specialist with the corporate philosophy of a medium-sized company. Its core business is onshore wind turbines with large systems suitable for sites with strong, moderate and light wind conditions. Nordex is competitively positioned within both the wind energy industry and in relation to companies involved in other forms of both renewable and conventional power generation. For strategic reasons, Nordex does not operate in the offshore wind energy sector. Offshore wind turbines and projects differ significantly from their onshore equivalents, particularly in technical terms. In addition, the onshore segment represents well over 90% of the global wind energy market. Nordex is active in all important growth and volume wind markets with the exception of China. This strong international presence was recently expanded by integrating Acciona Windpower into the Group in 2016. The domestic market of Germany remained the largest sales market for the Group in recent years due to its large volumes. Business is currently continuing to shift into foreign markets both inside and outside Europe, which comprised approximately 89% of order intake in 2017 (2016: 64%), underling the global footprint of the company. Nordex withdrew from the Chinese market, which is dominated by local suppliers, several years ago. However, the Company continues to be represented in China, particularly on the purchasing side. From a technical perspective, Nordex is focused on developing wind turbines for onshore sites that allow operators to produce environmentally friendly electricity at the lowest possible cost (Cost of Energy – COE) in their respective regions.